Kim Jong Un promoted sister Kim Yo Jong at a Workers' Party convention in Pyongyang. North Korean leader Kim Jong Un has promoted his 28-year-old sister to the ruling party's political wing, bringing her closer to the center of power and tightening the family's control on the regime. The promotion of Kim Yo Jong took place at a Workers' Party convention Saturday in Pyongyang, where Kim Jong Un called for continuing nuclear-arms development to defend against what he called "U.S. imperialists' nuclear blackmail," according to the official Korean Central News Agency. 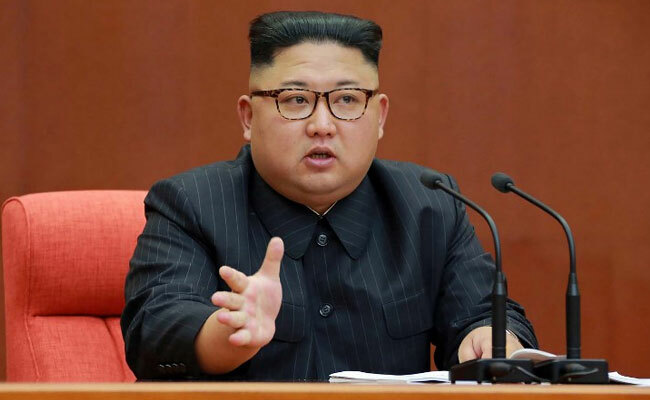 "The present situation is stern and we are faced with ordeals," Kim told the meeting as the party promoted dozens of officials, including his younger sister as an alternate member of the Political Bureau of the Party Central Committee. The bureau is led by Kim Jong Un and serves as the party's core decision-making body. Kim Yo Jong, a vice director at the party's propaganda department, was sanctioned along with six other North Korean officials in January by the U.S. Department of the Treasury's Office of Foreign Assets Control for "human rights abuses and censorship activities." Treasury gave her age as 28. Kim Jong Un and Kim Yo Jong were born to the same mother, Ko Yong Hui. Their half-brother, Kim Jong Nam, was murdered in February at a Malaysian airport with the chemical weapon VX, an attack in which North Korea denies it played a role. Kim Jong Nam had lived outside North Korea for years and occasionally made comments critical of the regime. Kim Jong Nam isn't the first family member to be killed since Kim Jong Un took power in 2011 after the death of his father Kim Jong Il. In 2013, Kim Jong Un executed his uncle Jang Song Thaek on charges of graft and factionalism. Jang once served as Kim Jong Un's deputy, and his death led to the disappearance of the leader's aunt, Kim Kyong Hui. Kim Yo Jong has since appeared more prominently in public and been seen as the most influential woman along with Kim Jong Un's wife, Ri Sol Ju, in a country where family ties mean more than any title or rank. She often chooses to remain in her brother's shadow at public events, while orchestrating North Korea's cult of personality that began under her grandfather Kim Il Sung. "She's been recognized for the work she's done in the past year to idolize Kim Jong Un," said Yang Moo-jin, a professor at South Korea's University of North Korean Studies. "Kim Jong Un is extending his father and grandfather's practice of empowering family members."